We are celebrating 5 years of Convention 189. We have won many victories but our struggle is far from over. On this June 16, let us raise our voices to send a powerful message to the world. We demand that Convention 189 become a reality - that all the homes that we work in must become a fair home, treat us with respect, recognise that our work is decent work, and decent work needs decent pay. What we won in 2011 was the road to our freedom. Let us keep on fighting and campaigning for our rights. June 16 is ours, so let us free ourselves. Enjoy and celebrate the 16th June. The My Fair Home campaign was first started as a collaboration between the International Labour Organization (ILO) and the International Domestic Workers Federation (IDWF) in 2015. It is part of the global campaign for the ratification of ILO Convention No. 189 on Decent Work for Domestic Workers by encouraging individuals to personally commit to the standards and ethics enshrined in the Convention. This year, on the occasion of the 5th anniversary of the C189, the My Fair Home champions launch the campaign among their union members who are employers of domestic workers to personally pledging their commitment to uphold the principles of the Convention in their own homes. Those who are our affiliates will encourage their members to talk to their employers to do the same. As you hold activities to celebrate the International Domestic Workers Day this year, we encourage you to join the My Fair Home, to reach out to employers to build and expand the communities that support us. Together with employers' allies, we ensure My Fair Home for each and every one of us. On June 16, 45 domestic workers and union leaders from Conservation, Hotels, Domestic, Social Welfare and Consultancy Union (CHODAWU) will meet the Honorable Jenista Joakim Mhagama, Minister of State (Policy, Parliamentary Affairs, Labour, Employment Youth and Disabled) in Dodoma where the Parliament is in session. At a public forum, which will include other government officials, the Minister of State will call for the ratification of ILO C189 and launch the My Fair Home campaign in Tanzania. Domestic Services Workers Union (DSWU) will celebrate the June 16 with 60 domestic workers, employers, policy makers, trade unionists, and an official from the Department of Labour. The event will explore topics on migration and domestic workers, with emphasis on signing the My Fair Home pledge. Hong Kong Confederation of Trade Unions (HKCTU) proudly launched My Fair Home Campaign together with Hong Kong Federation of Asian Domestic Workers Unions (FADWU) on 12 June. A public event with domestic workers will feature drama, dancing, information booths, and a public forum with the theme "My Fair Home - Monitoring Employment Agencies". A win-win for everyone. The event will advance efforts to implement a Code of Practice for Employment Agencies (CoP), which was proposed by the Labor Department in April. Hong Kong Employers of Domestic Helpers Association and Fair Employment Agency will be guest speakers at the forum. So far two companies have signed on, setting an exciting example! Geoffrey Gijssels, owner of Proxi Home, which employs 1000 domestic workers working in more than 10,000 homes, signed the pledge in the name of all his clients (domestic workers employers) and took the responsibility to ensure that the the pledge will be respected in every single home towards every domestic worker of his agency. DAOUST, one of the biggest domestic work companies also signed on to My Fair Home. 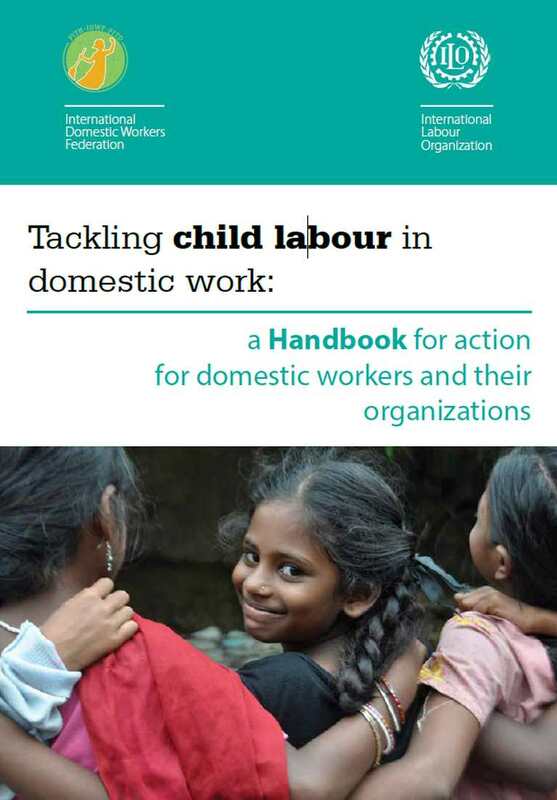 to strengthen the recognition and labour rights for domestic workers, has taken years. The campaign "Open your door to the dignity of your domestic worker" was launched as the sector continues to work closely with employers since the legislative achievements of the Law 20.786 and C189, which entered into force on June 10 2016. Since 2010 Marcelina Bautista leading the Centro de Apoyo y Capacitación para Empleadas del Hogar (CACEH) began working with activists, human rights defenders and employers in a similar initiative to My Fair Home. As a result, on 26 January 2015, Maite Azuela and Marcela Azuela with 26 activists, domestic worker employers formed the collective "Home Fair Home". This is the first group of employers in the country joining their voice to promote domestic workers labour rights nationwide. This year, employers in Mexico joined CACEH and the National Union of Domestic Workers (SINACTRAHO) in launching the international campaign My Fair Home and urged society to make the pledge.